Offering you a complete choice of products which include three-phase transformer load - phase angle controlled tpr-3p, power regulator, scr power controllers, single phase - resistive load -phase angle controlled, thyristors and two-phase resistive load - phase angle controlled. Radix made TPR-3P-480 - T Series Three Phase Thryristor is suitable for transformer loads. Following is the range of Radix offered Thyristor this category. Because the SCR power controller is a solid-state device, there are no inherent wear-out modes. Thus, they provide virtually limitless and trouble free operation. 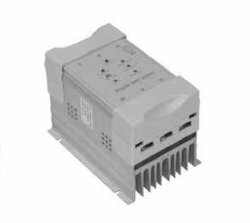 Power, current or voltage can be controlled from zero to 100% with infinite resolution.This capability allows extremely accurate, step less control of the process. 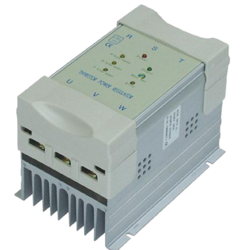 The SCR power controller can provide useful features such as current and voltage limiting. The ability to control the desired parameter as a function of a command signal & to incorporate limiting features is not normally available with other types of control. Because they are solid state there are no moving parts to wear out or replace. Therefore, the routine replacement required in some forms of control is eliminated. RADIX brings you a full range of Thyristor (SCR) Power Regulators, which are compact in size, robust in design and easy to maintain.These Power Regulators control power to the resistive or inductive heating loads which can be single-phase, two-phase or three-phase. 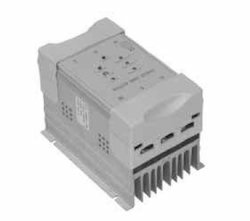 They can switch load power extremely fast providing the means to respond rapidly to command changes, load changes & power supply changes. This feature allows the control of fast responding loads and eliminates the negative effects of variations in load or supply voltages that can occur with other types of control. Radix power regulators comprise of triggering card, suitably rated back-to-back connected SCR modules mounted on special aluminium-alloy heat sink duly isolated electrically. 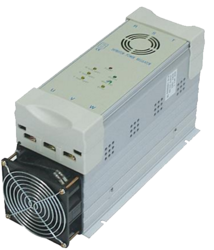 The cooling is either natural cooling or forced air cooling using high speed noiseless air circulating fan(s). Input and output terminals are clip-on type heavy duty connectors or copper bus bars. For safety, suitably rated semiconductor fuses & thermal cut-out is provided. The entire assembly is mounted on the very sleek & easy to install Anodized Aluminium enclosure with safety ABS removable covers. 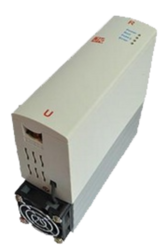 TRP-SP-220 Series Single Phase Thryristor is suitable for resistive loads. 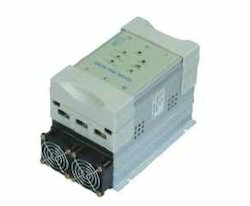 It controls power using Phase angle control method. Radix offers variety of Single Phase thyristor depending on the current ratings. Following is the range of Radix offered Thyristor for the Single phase category. Radix Thyristor Power regulators has a varied application and can be used with heating elements like Nichrome, Kanthal - A1, Super Kanthal,Silicon Carbide/Molybdenum Di-Siliside, Infra Red, etc where precise & accurate temperature control is desired. TPR-2P-380 Series thyristor is suitabe for resistive loads like IR heaters, dryers, kilns, ovens, furnaces, environmental chambers etc. Looking for Thyristor Power Regulator ?